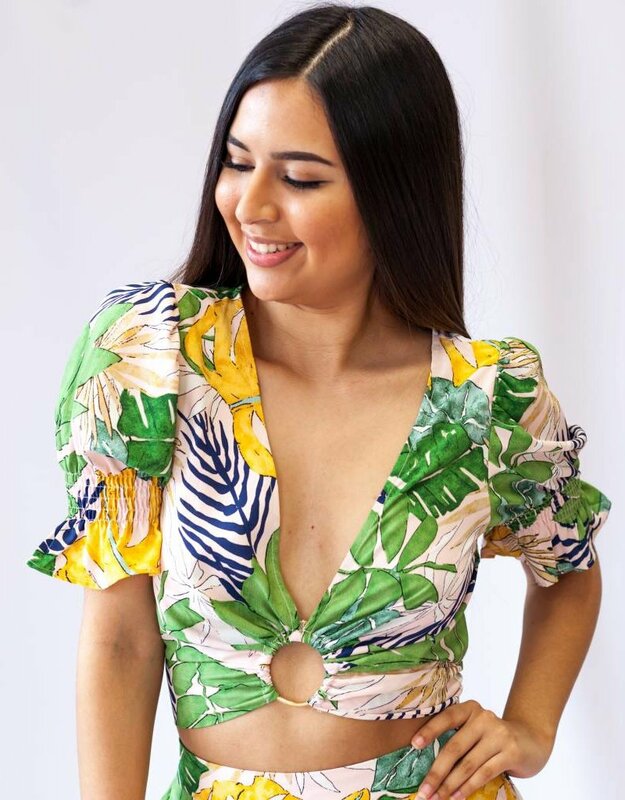 We are ready for Spring with this top! 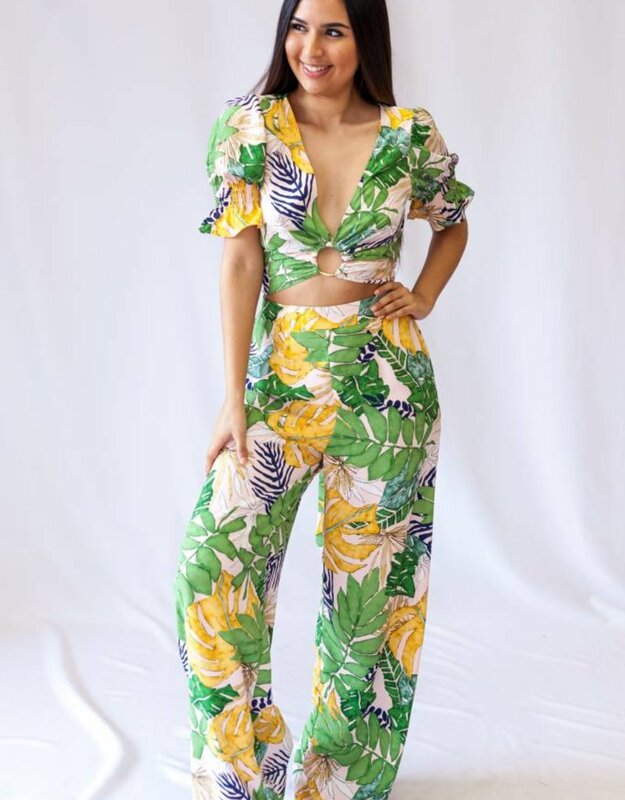 Our Eva Crop Top features gorgeous smocked sleeves, a plunging neckline, a circle detail in the front, and a self tie bow detail in the back. 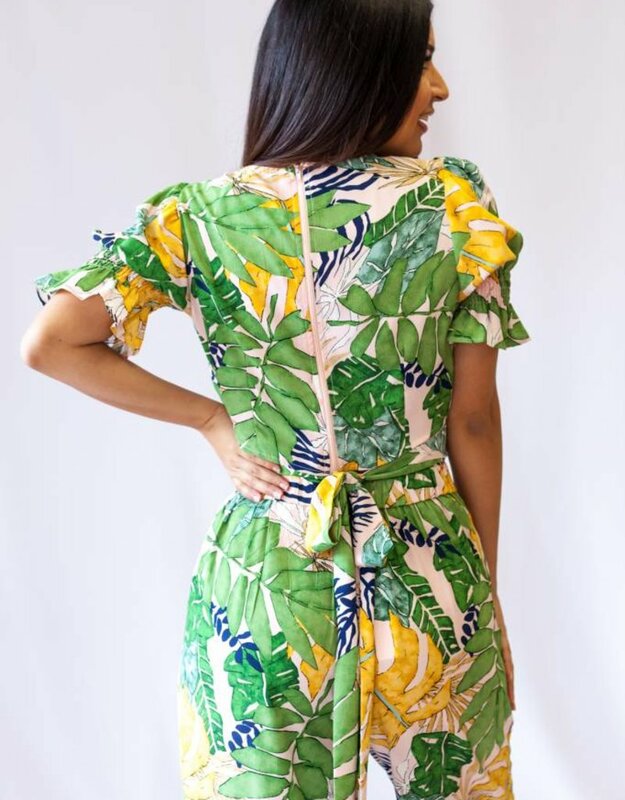 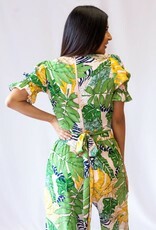 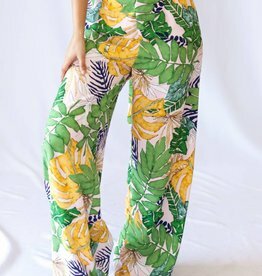 Pair this gorgeous tropical top with out Trista pants to complete the look.